After my adventure at The Grotto last week, I hopped a random connection of buses down to Hawthorne, which had been also recommended by a friend. 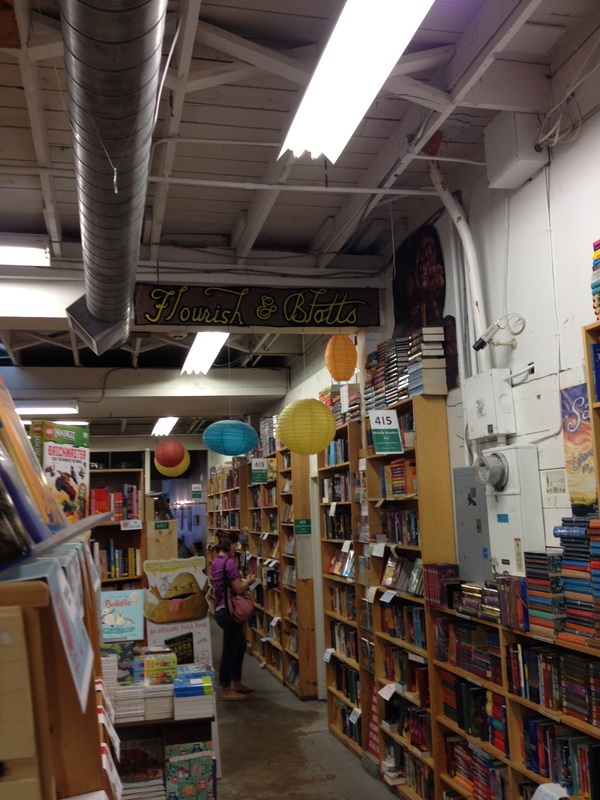 Because I did not know where to go on Hawthorne, I used the Powell’s Books down there as my guide point. 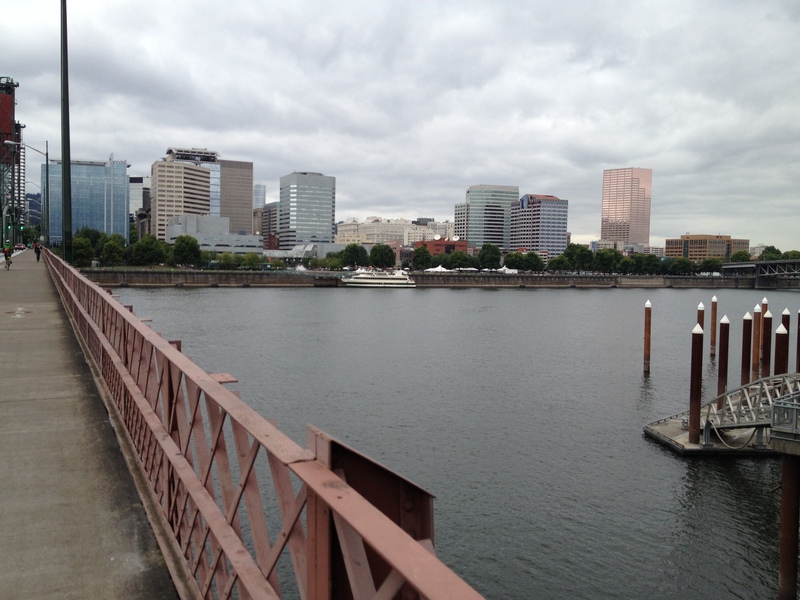 I have not previously spent a whole lot of time in East Portland, especially not southeast, so I was a little bit excited and skeptical about this part of the adventure. I, of course, missed my stop, and ended up having to walk a few blocks back. 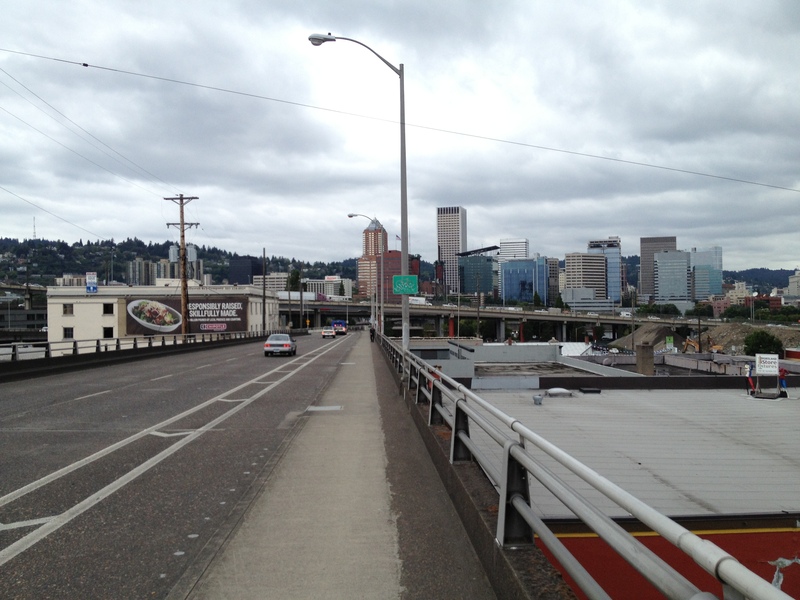 I then cross Hawthorne and came upon an adorable little neighborhood. Crowded streets, the legendary Bagdad Theatre, the Hawthorne Powell’s Books and tons of adorable, somewhat kitschy, little gift stores with lots of things that I would have loved to buy if they were priced just slightly cheaper. Hawthorne Powell’s has a great selection of childrens books, a well-organized games section, and what seems like way more sale books than Powell’s downtown. Many of the sections were painted with local or literary references, which was endearing, especially the Flourish and Blott’s reference from Harry Potter (click the picture to enlarge and see it..). As I wandered around Hawthorne, poking my head in and out of shops (including one of the most gentrified Goodwill’s I have ever seen), looking at restaurant menu’s and people watching, I realized that this is perhaps the Most Portland Place I have seen in Portland. Sure, there’s lots of weirdness and oddities. But on a corner of Hawthorne, I saw a group of people in barely sewn together clothes sitting around playimng guitar with their dogs, while watching some (slightly better dressed) individuals walk into a fancy (and overpriced!) Goodwill. I walked through vintage shops that made me ponder where old stuff goes and what value it has. It also made me wonder what will end up in vintage shops in 10 or 20 years? Will we see old MacBooks and original iPhones as glamorous collectable items that remind us of days when we were younger, just like Atari and old televisions and jewelry boxes? Or will they simply fade into the dust of history? 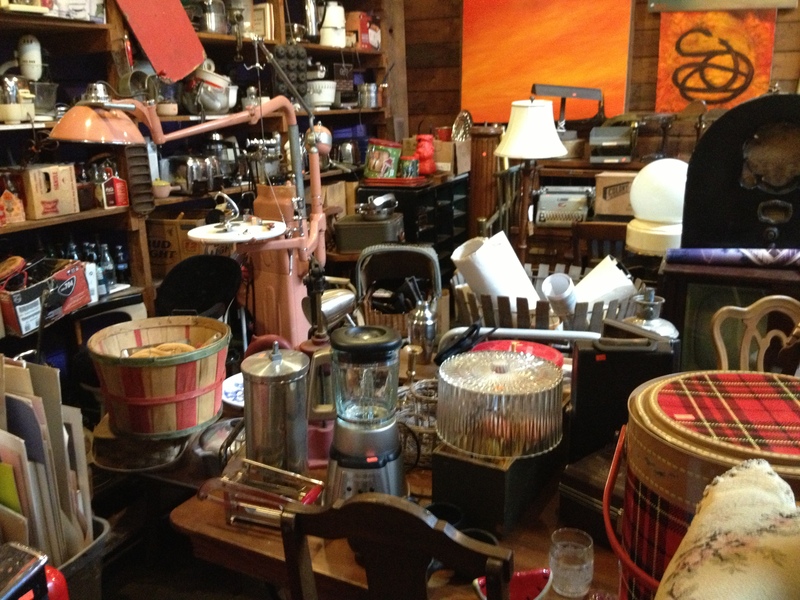 Endless vintage stores with endless items… posters, couches, chairs, end tables, writing desks, typewriters, odds and ends I could not identify, old Coca-Cola coolers, and so much more. Finally, I set to catch a bus back to City Center. Every now and then there was an area of sidewalk on that side where the sidewalk would be closed for this construction or that, so I w ould cross to the other side, look in a window and turn to see the bus passing. “ah, well, the next one,” I thought, walking down. And then the same thing would happen again. So I end up at a bridge. I cross, stunned by the beauty in the shades of the clouds – some light, some dark. The beauty of Portland lights up dully under the clouds, as the relief of employees done with their Thursday and walking home emanates off many pedestrians I pass.I ended up walking about 50+ blocks, from SE 33rd to NW 21st, and I do not mind at all, because the entire trip is through a beautiful urban landscape. This entry was posted on August 5, 2013 by Nathanial in Adventures!, Events, Thoughts.